And yet I’m really struggling with the idea of having to cover up what is a natural sign of ageing – and play along with society’s belief that to be attractive you have to be young. This is partly because this rule only seems to apply to women. Consider Hollywood hunks like George Clooney and Robert Downey Jr – both considered to have aged like a fine wine – ultimately far more attractive now than when they were younger despite greying locks and wrinkles. Society tends to view the older man as a better option to his younger counterpart – perhaps imagining that this is a guy with a better job, more life experience and past the ‘chasing tail’ phase – where we can only imagine he has learnt how to treat a partner properly and just what makes a woman tick (that’s a polite way of talking about sexual experience). While a guy can become a ‘silver fox’ however, a greying female of the same generation has suddenly become a ‘granny’ – the sort of character the wolf eats first in fairy tales. Seemingly a woman with lots of life (or indeed sexual) experience doesn’t hold the same allure. Take a look at the ‘hair’ section of the supermarket shelves – there are probably as many packets of hair dye promising to cover grey as there are styling products. In fact, the anti-aging industry has been projected to reach US$291.9 billion by 2015, and that’s a lot of product, most of it being slathered on the faces of females across the world in a desperate bid to be ‘visible’ in society. And let’s not even mention the menopause. 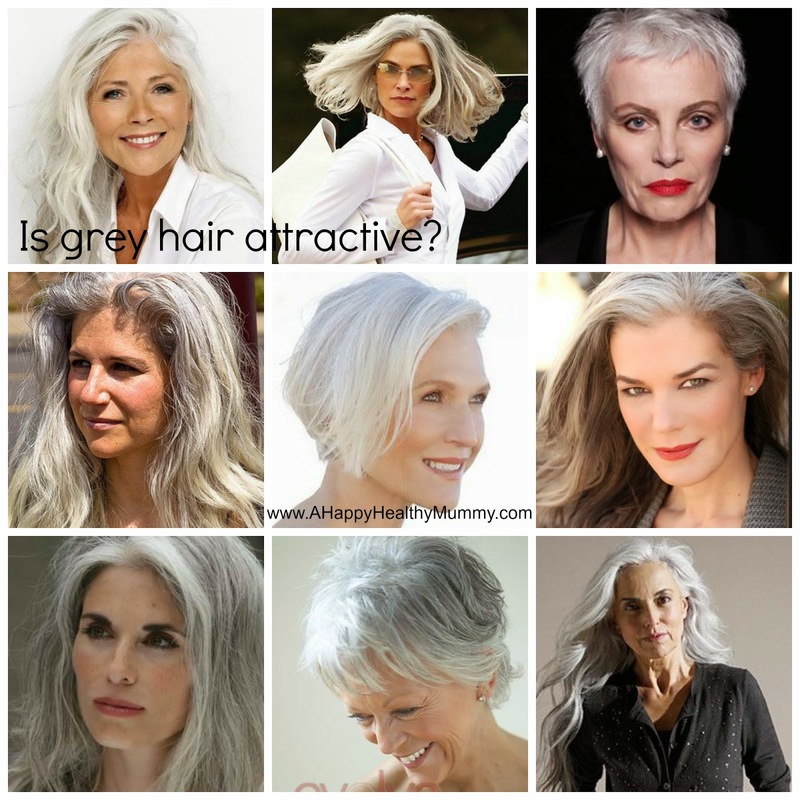 So, in the name of research, I’ve been combing (see what I did there) Pinterest to find examples of attractive grey-haired men versus attractive greying women. I’m still not convinced we’re ready to say a female in her forties looks as good with grey hair as a guy can – but certainly there’s hope for us ladies by the time we can claim a free bus pass. What do you think? Can a woman with grey hair ever really be as attractive as a man? Should we start a revolution and demand older, wiser women are promoted as pin-ups? Add your thoughts in the comment box below. Well, if I could look that good with grey hair, I would go for it! Need lustrous quantities of it though, and a good set of cheekbones. Obviously they all have make-up on too - particularly red lippy. Not sure I'd want such a dramatic look 24/7! I love it 'There is no time limit to anything, when you look good, you look good'!! Again, some of their looks are a bit extreme but the fact that they haven't just written themselves off after a certain age is great - and they are far from invisible! Thanks for commenting. Love your silver vixen picks! I definitely think silver on a woman can be very attractive, but it's the in between bit we all hate, isn't it? Like in between growin your hair out of a cut! Silver vixen? I think we need to start promoting that term! Agreed it's the half this/half that stage - but I'm wondering if that's a metaphor for middle age anyway! Worrying! Are older women being written out of society completely?